Fantastic soft leather sandal with an elasticated slingback & just under a 3" wood effect heel. 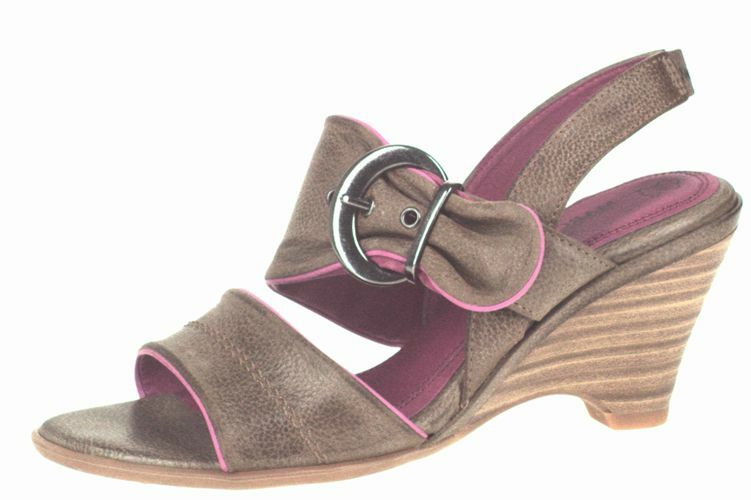 This is in a fantastic taupe/mushroom brown with a bright pink trim - with an adjustable feature buckle across the foot. Supper cushioned padded insole for extra comfort & rubber sole.